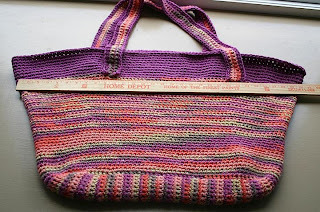 Just added a new free pattern to Ravelry - My Really Big Bag. Crocheted with bulky yarn and a big hook, using only single crochet stitches, this works up fast. 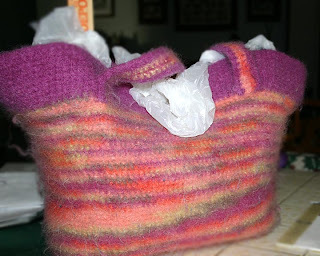 Pattern includes instructions for making a swatch, how to felt in a washing machine, and how to do the dreaded maths - figuring your shrinkage so you get the size bag you want. 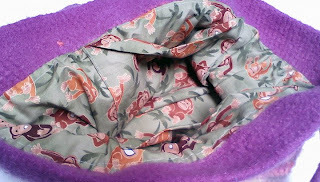 Pattern does not include how to add the cute monkey lining but instructions are available on the Internet. 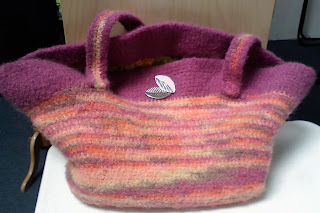 Ooh, thanks so much for sharing, I love it and love a fast project!